My friend, Sam Sciczka, sculptor, let his “Orion” spend the winter in the woods outside my studio window. The reason? He had installed it as part of his display for our December Studio Show, but before he was able to reclaim it after the show, we had an ice storm, followed by a heavy snow storm. Thus I had the privilege of looking at this beautiful piece every day throughout the long, long winter. 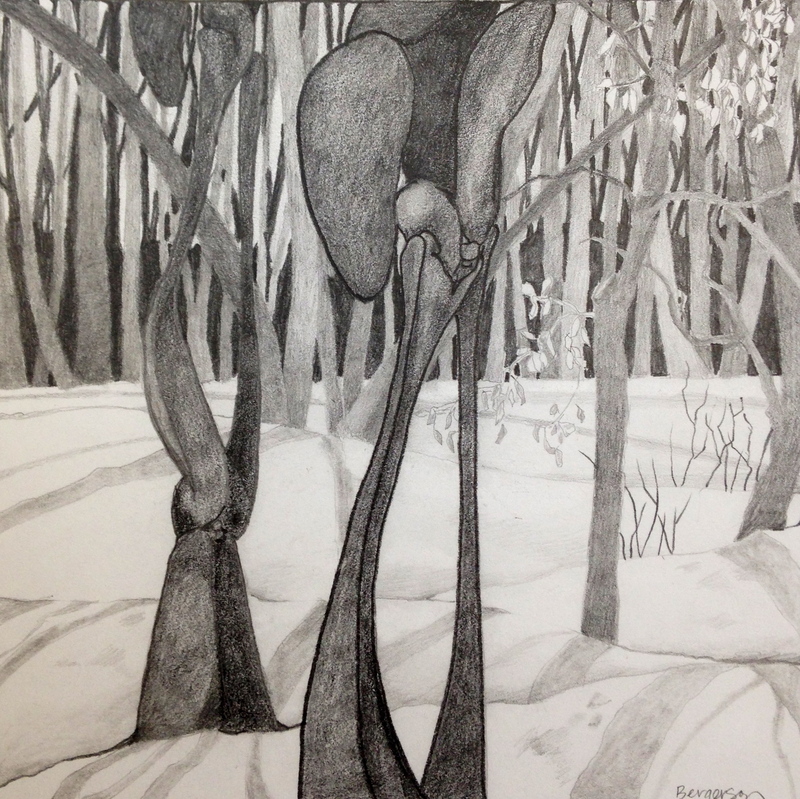 When I went to my studio this day to do my weekly drawing, there stood Orion, Awaiting Spring (as we all are doing). As I drew, I decided I wanted to see more than one view of the sculpture, so I added another view. There is really only one, but I like the way the sculptural shapes and the tree shapes play back and forth with the two views of the piece.